Fancy learning a new skill or being more creative? Some of the UK's leading actors have gathered in London to protest against the recent round of Arts cuts. Sir Patrick Stewart, Penelope Wilton and Samuel West are among the stars who have signed and delivered a petition to Downing Street calling for a "coherent" arts policy. Last week, more than 200 organisations lost out on annual funding from Arts Council England. Sir Patrick told the BBC he felt the cuts were "unnecessary". The petition asks the government for an "arts summit" involving funding bodies and artists to give the industry a clear direction. "We don't know what policy exists," said Sir Patrick. "We know that we represent part of British culture, which is a massive success. It seems as though we're just adrift." Some 695 groups will get funding for 2012 to 2015 - down from 849 - while 110 new groups have been successful. West said the arts industry was the "second most profitable sector in Britain" and it was important funding continued to keep the sector going. "It ain't broke, so don't fix it, a £100 million cut to a £450 million budget is not minor," he added. "We want a government funded Arts Council that allows us to be as successful as we are at the moment and continue to play our part in paying for hospital beds. We're profitable. We want to continue to be. "I would accept the need for cuts if they were equal across sectors but I don't think banks are paying their due." 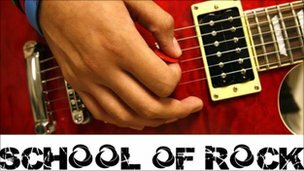 A new rock school at the Artrix in Bromsgrove is being backed by a Worcestershire-based record company. 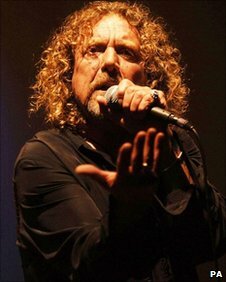 MAS records, based at Kidderminster college and have rock legend Robert Plant as a patron, will give expert advice at the workshops. The aim is to give talented youngsters the skills they will need in order to get their first break. The workshops are led by Scott Garrett, a tutor with extensive experience in the rock music industry. Scott Garrett says the workshops will help young musicians to get started: "They're kind of aimed at people who are not yet in a band - maybe they've been playing in their bedroom for six months." The first workshop is on Sunday, April 10, and will show youngsters how to network with others to form a band, and also teach live performance skills and outline some of the ins and outs of the business. The second workshop is on Sunday, May 1, and will look at song-writing, securing gigs and performing rights. Each full-day workshop will culminate in a studio gig to showcase what the participants have achieved. More details are available from TC Peppercorn, Artrix Education & Outreach Co-Ordinator on 01527 572707. We're pleased to announce that Bromsgrove Arts Alive has a new web site. It should make it easier for us to add to and edit its contents, as we're assured that it uses some of the latest "content management software", called Drupal. As you may know, the recent Comprehensive Spending Review left local councils facing an average cut of 28%. The non-statutory status of local funding for cultural services has meant that the arts sector is left vulnerable to bear the brunt of these cuts. Unfortunately last month, Somerset County Council became the first local authority to announce that it was axing all of its arts funding. Not only has this signalled a cultural decline for the county itself it has also sets precedent for other local authorities. Darlington and Rochdale have followed.